...Pac-Man's 30th anniversary has been properly celebrated. I can't decide what the coolest part of this photo is. The Atari 2600? The games stored in an 8-track tape box lined with red felt? The TV that likely weighed just short of a full ton? The wood paneling on the wall and the orange carpet? 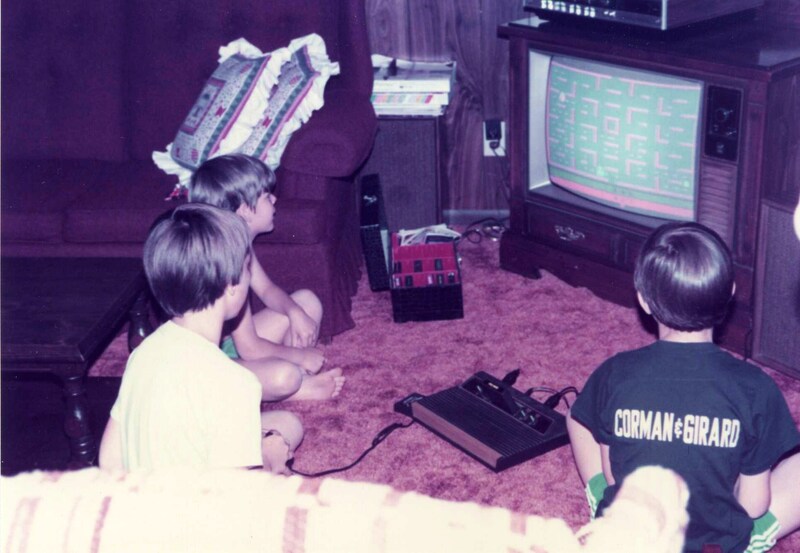 The fact that three kids are spending a summer afternoon in June playing Pac-Man instead of playing outside? Please note that I am not in this picture so either I was playing outside or I was in trouble and being kept away from anything fun. Probably the latter.